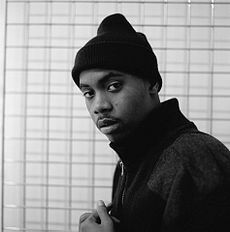 The Rapper, Nasir Olu Dara Jones popularly knows as Nas is being sued for $10 million by a promoter in Angola following his Kidnapping ordeal. According to TMZ, the promoter, Allocco claims that Nas received the $300,000 fee in advance to perform at a show in Angola last year but didn't turn up as he was was in Miami attending a New Year's Eve engagement party at the home of basketball player LeBron James. Alloco then caims he and his son were kidnapped by men working for a local concert promoter who held him at gunpoint in order to turn him over to local authorities. For 50 days, he was beaten and threatened sustaining psychological, physical and financial injury during his ordeal, losing his home and company.